There's quite a long list of NHL teams signing players who just didn't perform to the salary level they were rewarded. Here's a rundown. Every NHL team attempts to improve their lineup, and that includes signing players to long-term free agent contracts. Sometimes they just don't work out. 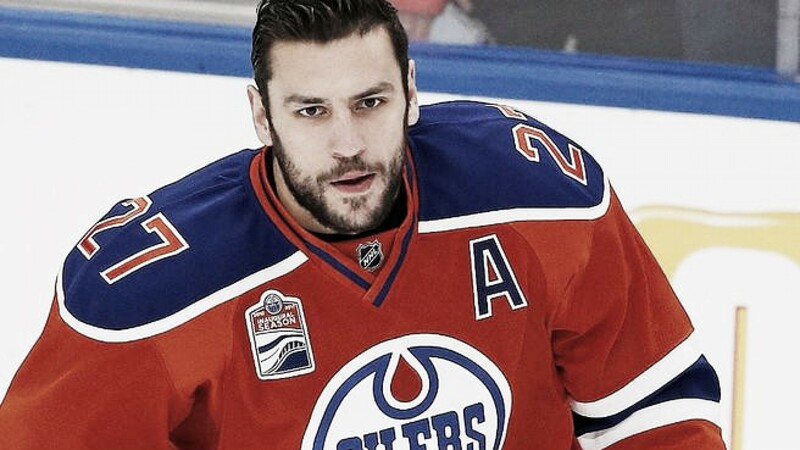 The Oilers went all out to gain the big, bulking forward who stands 6'3", 236lbs and looks intimidating. Except... the seven-year $42 million contract he received in 2016 has not shown many results for the Edmonton club. After a successful first season where he helped the Oilers get to the playoffs with 50 points, he disappeared this past season with just 34 points. In his two years with the Edmonton Oilers, he has tallied just 33 goals, 51 assists in 164 games. He hasn't missed a game, so where is his production? His lack of competing against faster skaters which is becoming the NHL trend has seemed to override his size and toughness. Smaller, more swift players seem to be the way teams are headed to compete at the next level. At 42 points a season, he is getting paid a whopping $142,857.14 a point. Let that sink in for a moment. There were rumors that GM Peter Chiarelli was quietly shopping Lucic, but that BIG contract and no movement clause are not motivating factors for the team looking at obtaining his services. Like Lucic, Okposo signed a seven-year $42 million pact with the Buffalo Sabres in 2016. He also has a no-trade clause listing 15 teams whom he refuses to sign with if traded. That sounds like a player who has had good numbers in his first two years of his deal. He has collected 34 goals, 55 assists in 141 games in a Sabres' jersey for a total of 89 points or $134,831.46 a point. Not as bad as Lucic, but still in the regrettable range. He also was on the worst team in the NHL who wasn't skilled at possessing the puck, so his -41 +/- statistic is not surprising, yet he got paid very well. A trade is always possible... BUT with that $6M cap hit for a player performing below expectations, there are few... if any takers. Buying out a large contract like his is not financially brilliant either. Looks like the Sabres' have cut themselves deeply with this contract. Ladd signed a seven-year deal worth $38.5 million in 2016. He is another example of signing a 30-year-old player to a seven-year contract is not advisable. Why would a team want to sign a player to a long-term contract until he is age 37 is beyond head scratching? His statistics certainly don't excite many fans. He has had 35 goals, 25 assists totaling 60 points in 151 games or $133,333.33 a point. 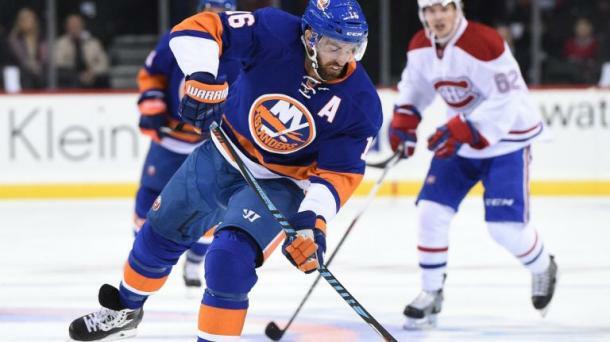 To many, he has been a disappointment since joining the New York Islanders. To wait until he in the latter days of his long contract would not make sense, so if there is a trading partner out there the Islanders should consider it a mistake and move on. The Vancouver Canucks must really be deep into regret signing the 6'2", 192lb forward two years ago to a six-year $36 million contract. On paper, at the time it looked like Eriksson was going to be the dominant forward to join the Sedin twins making them a very formidable line. Sure, when Eriksson was with the Boston Bruins he scored 147 points including 62 goals to pace the Bruins. After signing that lucrative contract with the Canucks he has been pretty much of a bust. Try just 47 points with 21 goals in just 115 games due to injuries. 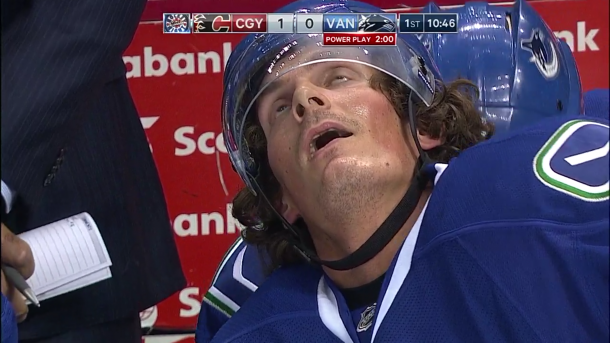 So Eriksson gets compensated at a rate of $255,319.15 a point per season. It's pretty apparent that this contract was a huge mistake thus far for the Canucks. Their only hope may be that with the Sedins retired that Eriksson will all of a sudden revert back to his days with the Bruins where he was a decent scorer. Another player who had performed worthy of a six-year $31.5 million deal but has not shown much to prove it. While a member of the New York Islanders, Nielsen showed some good numbers. With 119 goals, 230 assists in 606 games with the Islanders he looked to help the Detroit club, but he hasn't quite done that yet. 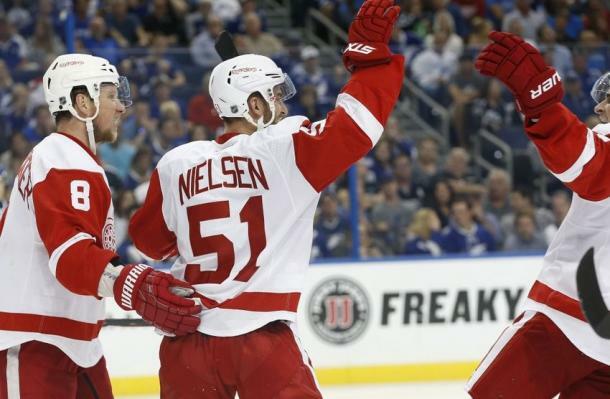 Tallying 33 goals, 41 assists in 158 games he has disappointed the expectations the Detroit Red Wings must have had for him. That totals $141,891.89 per point. Again, another player who was signed to a large contract later in his career at age 32 just hasn't seemed to be successful, to say the least. And, the remaining four years of his deal he has a no-trade, a no-movement clause to make it even more difficult to dump a contract the team now regrets. 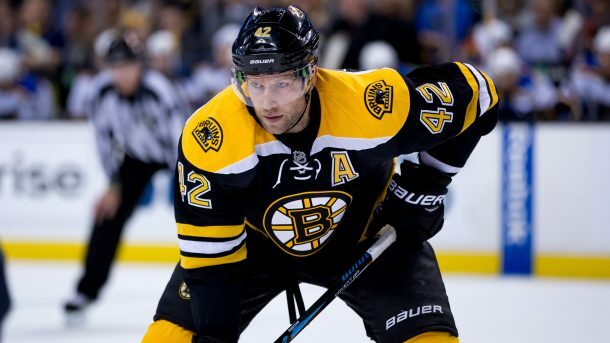 Backes received a five-year deal worth $30 million when he was 32-years-old (I see a trend here...) has turned out to not be a good idea once again. So, the Boston Bruins were thinking... "this guy Backes can't miss with us". He's had 74 goals, and 160 points the last three seasons with the St. Louis Blues... how can he fail? Well, just by checking the last two seasons of his contract paying him $169,014.08 per point shows how he has not performed comparably to his inflated salary. When you notice that Backes went from just over 28 goals a season the two prior seasons in St. Louis to just over 15 goals the last two seasons with Boston (in all fairness he only played 57 games last season) it makes the Bruins wonder about signing him. When compared to others on this list Demers doesn't seem too bad. He signed his five-year $22.5 million when he was 28. Considering all the others on this list are forwards and Demers is a defenseman it makes it even more difficult to evaluate if his contract is regrettable or not. 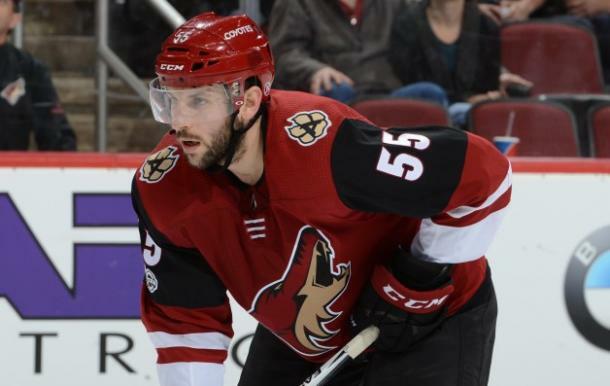 It seems more plausible that the Panthers wanted to unload Demers $4.5 million cap hit to the Arizona Coyotes for Jamie McGinn's $3.33 million salary at the time Demers was traded in September prior to last season. It can be noted that Demers had some not too impressive stats with the Panthers like a +/- of -14 and a 48.8 Corsi for percent at even strength. He has improved both of those in Arizona to -4 and 51.5 respectively. He may still be overpaid, but if he performs well alongside Oliver Ekman-Larsson this coming season that $4.5 million salary will look much better. 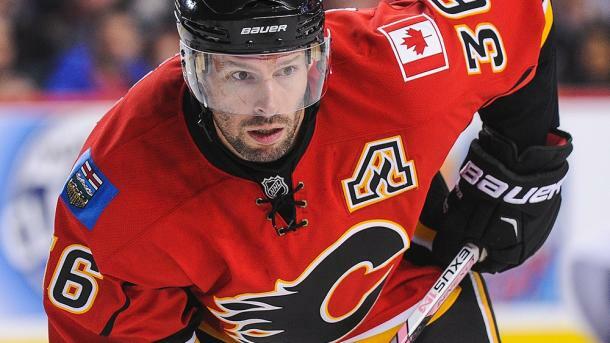 Brouwer signed a four-year $18 million deal with the Calgary Flames in 2016. His salary per point comes to $191,489.36. He has had just 47 points over the last two seasons of his new contract. Nothing to write home about, and with just a 0.31 points per game ratio, the Flames must feel short-changed a bit. It seems that the Flames are noticing Brouwer's decline as his ice-time was reduced over two minutes a game last season. His shooting percentage also dipped to a career low of just 7.6%. Contracts like these must make a general manager's hair grow gray way too early, but at the time it must have seemed like a good idea. Boedker has really not performed up to his capabilities especially when one considers his speed as a tool to increase his offensive game. He signed a four-year $16 million contract and the San Jose Sharks were feeling the bite on that one. So much so that they traded the underperforming forward to the Ottawa Senators for Mike Hoffman. It seems that Ottawa wanted to rid themselves of Hoffman as much as the Sharks wanted Boedker off their roster. 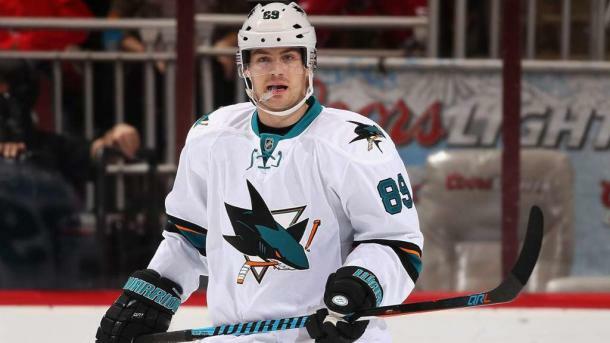 In 155 games with the Sharks, Boedker had just 25 goals, 38 assists. Calculating his salary on a point per basis comes to $126,984.13. Maybe that was a deciding factor in the decision to trade him. At some point, Boedker will hopefully settle down. He's been on four teams in 10 seasons. If he can up his point total he may get to stay in one place and not keep the moving companies as busy. If you were the general manager of any of the above teams would you have second thoughts about signing these players to such large contracts considering their lack of performance? Let us know in the comment section below and be sure to give us a follow on Twitter by searching (@VAVELNHL_ENG).